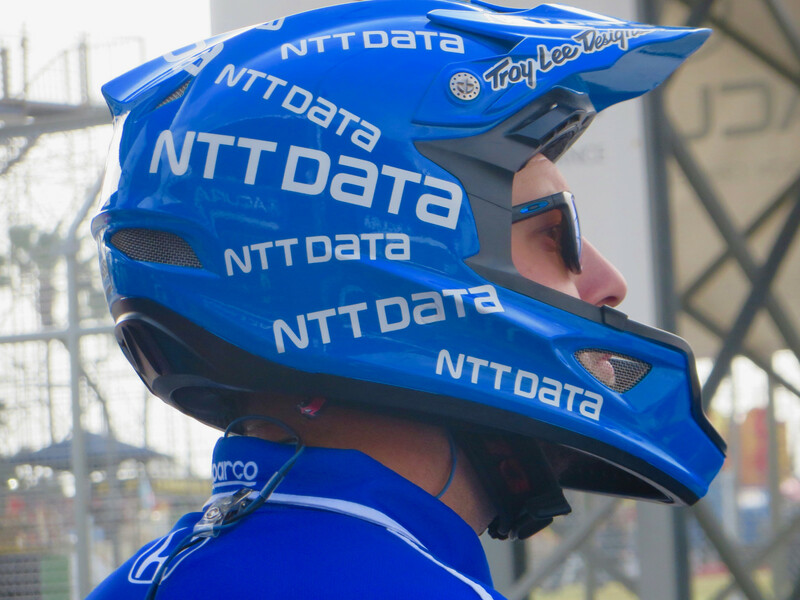 NTT IndyCar Series Rookie Colton Herta/No.88 Hardy Steinbrenner Racing Honda was fastest in the morning warmup at the 45th Acura Grand Prix of Long Beach, with a lap of 1:07.1053/105.577 mph. The idea isn’t to be fastest so much as it is to scuff tires, practice pit stops, and check everything. 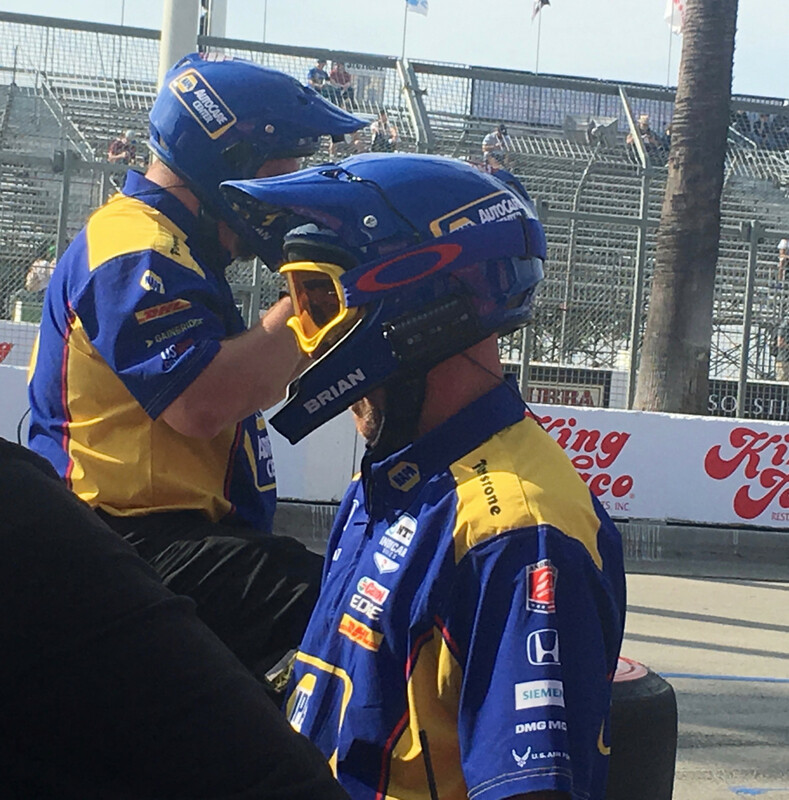 Second through fifth were Marco Andretti/No.98 U.S.Concrete/Curb Andretti Herta with Marco & Curb Agajanian Honda; Ryan Hunter-Reay/No.28 DHL Andretti Autosport Honda; Graham Rahal/No.15 Total Rahal Letterman Lanigan Racing Honda; and Takuma Sato/No.30 Mi-Jack Panasonic Rahal Letterman Lanigan Racing Honda. 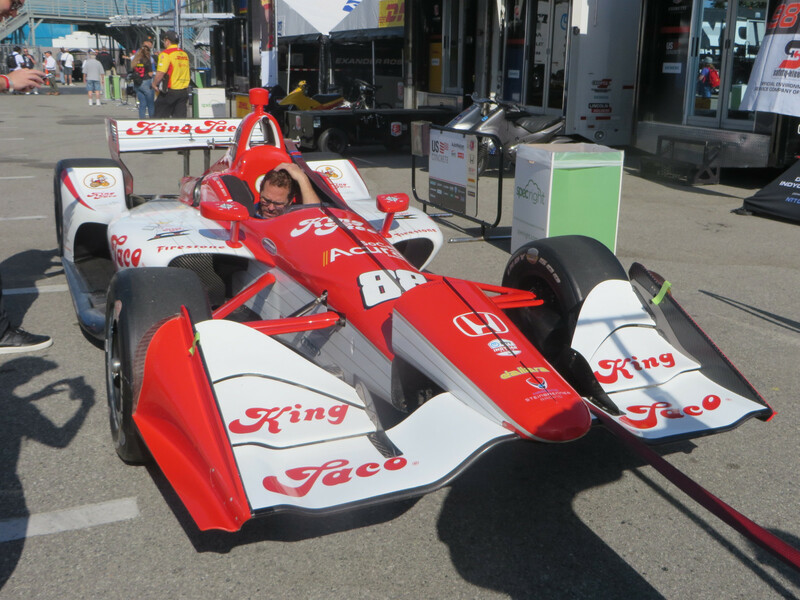 The top Chevrolet was Spencer Pigot/No.21 Ed Carpenter Racing in tenth position. 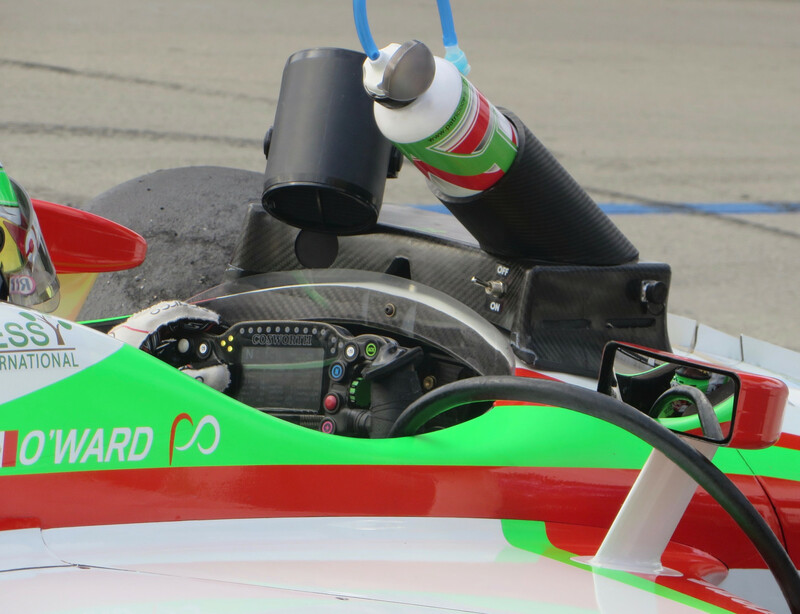 All 23 drivers were on course for the half-hour session. Back in the paddock after the session Rookie Patricio O’Ward/No.31 Carlin Racing Chevrolet was swarmed by Mexican race fans greeting their countryman. He was very pleasantly surprised by the surrounding adulation and enthusiasm. 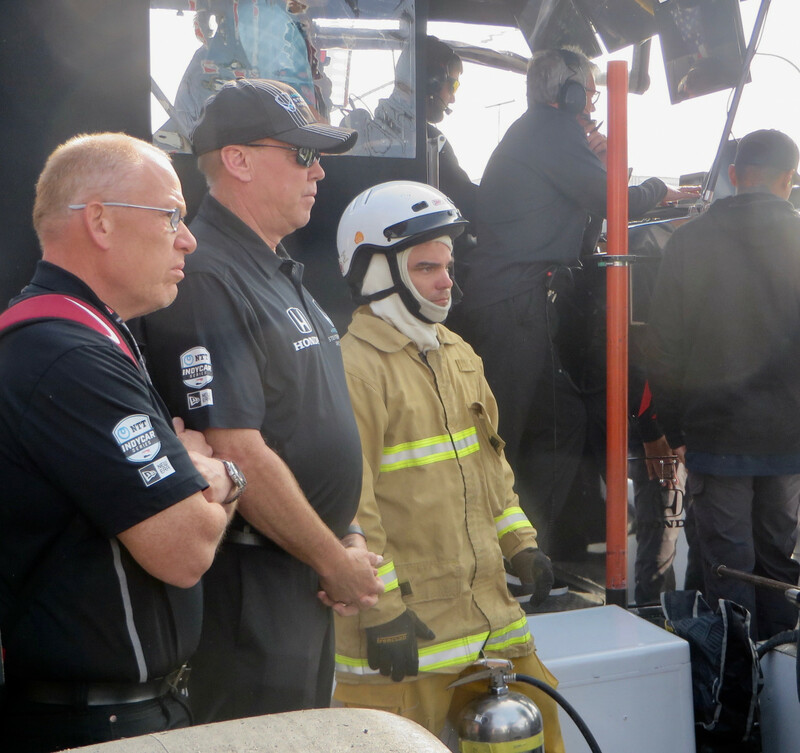 While the drivers await the green flag for the session, they suit up, converse with their crew, and sit in their cars. they have drink bottles, fans, and data acquisition in the cockpit area, along with their multi-tasking steering wheel. 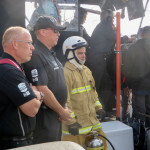 In each pit there is a SCCA Volunteer fireman at the ready. 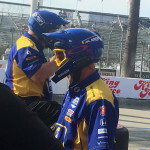 Six crew members are allowed over the wall and must wear helmets. 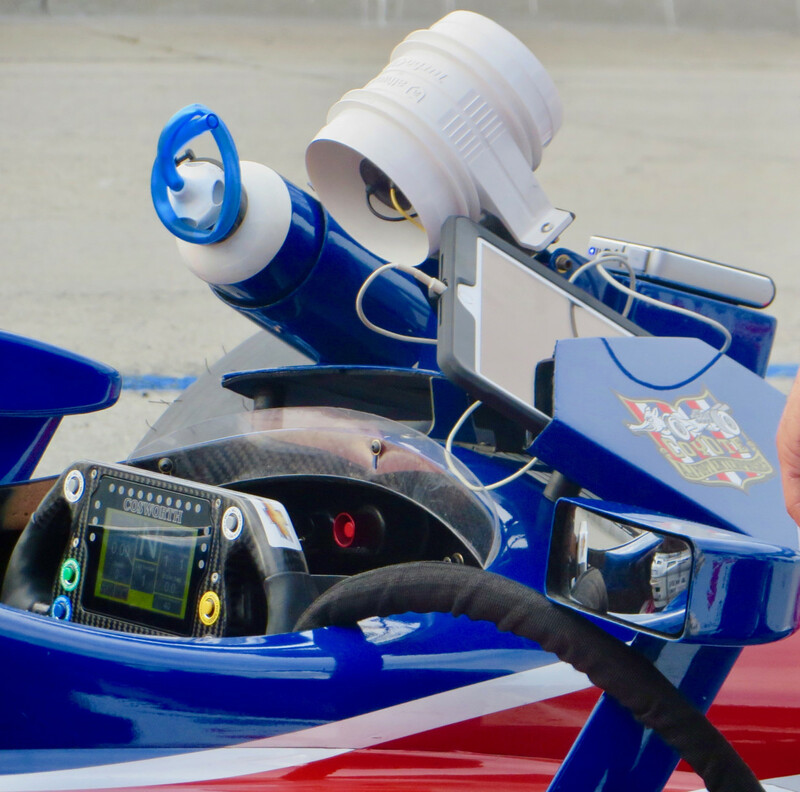 The fueler is required to have a full-face helmet with visor which is pulled down for fueling. 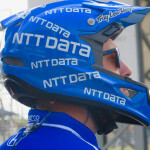 The others wear a different style helmet, sometimes called dual sport or dirt helmet, and sometimes worn with goggles. 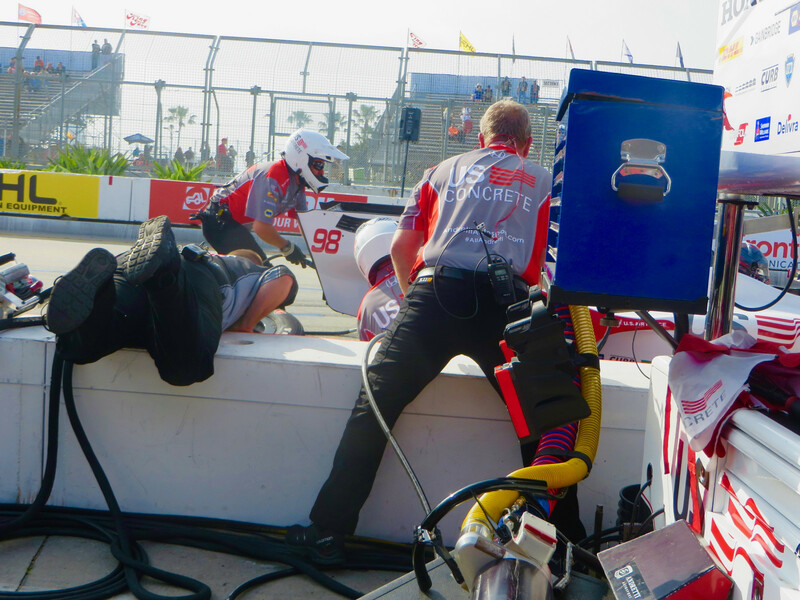 The teams have a pit stop trainer, who works with them back at the shop and at the races. 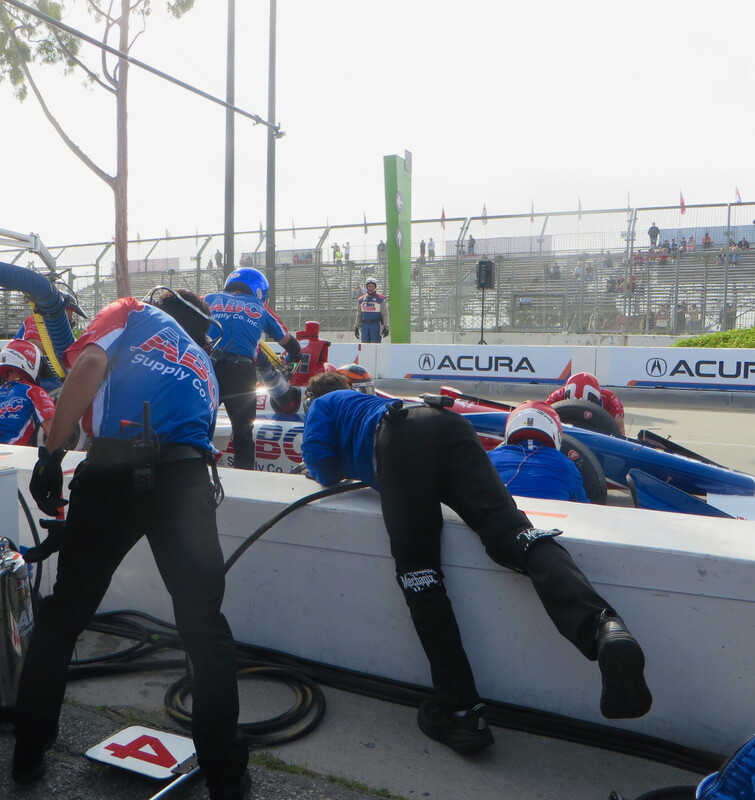 The pit stop crews have to be fit and agile, as they sometimes throw themselves over the wall, toss tires and hoses, dance around each other and step lively. 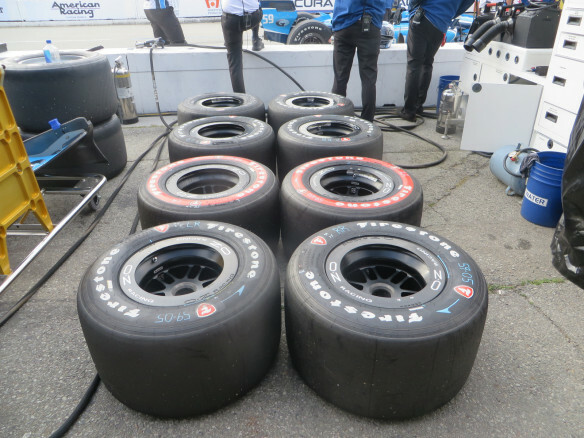 The tire designations have been declared for the race start and it’s about half/half between Alternate/Reds and Primary/Blacks. Five of the Firestone Fast Six will be going out on the Reds. Only Simon Pagenaud/No.22 DXC Technology Team Penske Chevrolet will opt to start on Blacks. Matt Brabham won the Stadium SUPER Trucks Saturday race, after gridding second. He and pole sitter Sheldon Creed swapped the lead several times. Brabham was racing No.83 and Creed was in No.2. Brabham is the 2018 SST Champion, and he says racing in this series pays the bills. 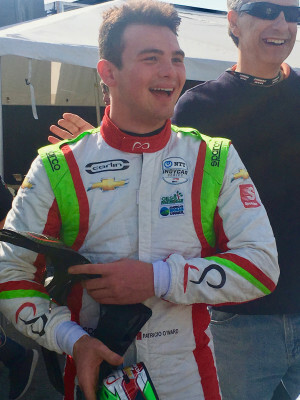 This is is third year in the series and “it gives me a living and pays quite well.” He races in a variety of others series, and this weekend he’s also competing in the Pirelli GT America Series as well as driving one of the IndyCar two-seaters. 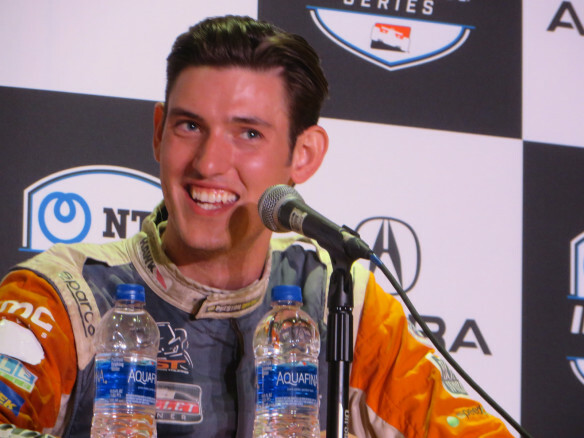 He says driving in a variety of series makes you a better driver, so he keeps busy Driver Coaching, as well as driving in IMSA. He learns something different in each series. 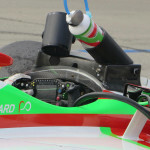 Brabham’s goal is still to get back into Indycar. He’s had some meetings this week. This entry was posted in IndyCar, Super Stadium Trucks by Lynne Huntting. Bookmark the permalink.